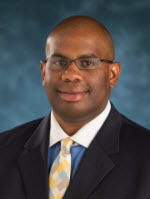 Darryl Conway has served as Editorial Review Group Chair in Sports Medicine – Athletic Training since early 2013, continuing in that role even as he transitioned from the University of Maryland to the University of Michigan. Over the past five and a half years, we have sent him 60 titles in Athletic Training, and he has called on 16 experts from 11 institutions to review 40 of them, so far. Mr. Conway is the Senior Associate Athletic Director, Student-Athlete Health and Welfare at the University of Michigan. In that role, he oversees athletic medicine, performance science, performance nutrition, performance psychology/athletic counseling, Olympic strength and conditioning, performance science, and equipment operations personnel, as well as serving as the liaison to team physicians from the University of Michigan Health Systems and Health Services. Mr. Conway moved to the University of Michigan in 2013 from the University of Maryland, where he served as the Assistant Athletic Director-Sports Medicine. He has also worked full time as an athletic trainer at the University of Central Florida, the University of Northern Iowa, Morgan State University, the University of Delaware, and the New York Jets Football Club. He holds a Master’s Degree from Adelphi University (’95) in Sports Medicine and Sports Management and a Bachelor’s Degree from the University of Delaware (’93) in Physical Education Studies and Athletic Training. In addition to being a certified member of the National Athletic Trainers’ Association (NATA), Mr. Conway has worked with various SWAT teams as their tactical medic and athletic trainer and as a volunteer EMT, and has been an American Red Cross first aid, CPR, and AED instructor for more than 25 years. He also serves as an instructor with Sports Medicine Concepts, and has worked as an athletic trainer at the Winter X Games, Red Bull Crashed Ice, and Red Bull X Fighters. He is also a member of the Spine Injury in Sports Group (SISG). Mr. Conway’s professional interests lie in the fields of emergency planning, catastrophic and crisis response, risk management, and cervical spine injury management, and he is a frequent presenter at regional and national meetings on these topics.